﻿Placitas Del Sol is in its second printing, with a new cover and a few new images. Now available. Another collaboration with poet and cousin Karen Biddle, it consists of poetry and landscape photography. You can order from etsy (http://www.etsy.com/shop/JoanFenicle?ref=search_shop_redirect)or go to my contact page on this website. You can preview a few pages from the book by downloading the file below. ﻿Ships for $20 plus $4.50 packing and postage. ﻿They have arrived - the second collaboration with poet and cousin Karen Biddle. 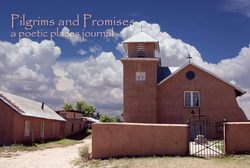 Consisting of poetry and photographs, the book contains color photographs, poetry and documentation on 28 historic New Mexico churches and moradas. You can order from etsy (http://www.etsy.com/shop/JoanFenicle?ref=search_shop_redirect) or go to my contact page on this website. You can preview a few pages from the book by downloading the file below. 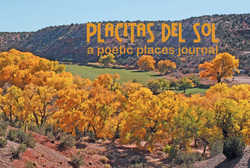 Placitas del Sol is the first collaboration with poet and cousin Karen Biddle. Consisting of poetry and landscape photographs, the book was dedicated to the authors' mothers and maternal grandmother, strong pioneer women from the Colorado Rockies. To preview the book and to order from Blurb, CLICK HERE.